Nosebleeds occur frequently in adults and children and can be quite menacing, but they are usually not a health hazard. However, severe problems may also cause nose bleeding; therefore, the condition should not be taken lightly if it is recurrent and prolonged. Children tend to experience more nosebleeds than adults as they irritate the nasal membrane by either picking their noses or going through physical assaults of trauma. If an adult experiences a nosebleed, the problem should be significantly considered if not caused by physical trauma. A sudden nosebleed also called spontaneous epistaxis, may be caused due to a serious medical issue. In such situations, it is advisable that you visit a doctor immediately. Learn the difference between major and minor nosebleeds by taking workplace approved first aid training programs. 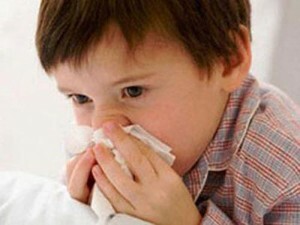 Nosebleeds are common in adults and children living in areas prone to cold weather and people who stay indoors often. The dry air indoors and in cold weathers often causes the mucous membrane of the nose to get dry, brittle and crack, eventually, resulting in a nosebleed. When you sit upright, you prevent further bleeding by lessening the blood pressure of the veins in your nose. Leaning forward prevents choking and swallowing of the blood that can irritate the stomach. You can do this by pinching your nose using your thumb and index finger. Make sure you breathe through your mouth while closing your nose, for about 5-10 minutes. This will apply pressure on the nasal septum which is the bleeding point, to discourage excessive bleeding. In order to prevent nose bleeding again, do not pick your nose with your finger or a foreign object for a few hours. During this period make sure you keep your head elevated from your heart level. Blow your nose forcefully to remove the blood clots in your nose. Use a decongestant nasal spray to spray both nostrils. Close your nostrils by pinching your nose again and call a doctor immediately. If nose bleed is recurrent and takes more than 20 minutes to recover. If you have injured your nose after the nosebleed by physical trauma, accident or assault-you may have broken your nose in the process of injury. To learn more about treating nosebleeds and other head and neck injuries enrol into workplace approved training programs. Courses such as standard and childcare first aid teach candidates to recognize and treat a variety of minor and major bleeding emergencies. Providers can be found on our locations page. We have training partners located throughout Canada in Ottawa, Toronto, Calgary, Edmonton, Winnipeg and Vancouver.